On Memorial wall, Timaru; Timaru Boys High School War Memorial (Library); Timaru South School WW1 Memorial plaque; Waimataitai School War Memorial? Son of Fannie Elizabeth Dunsford and the late William George Dunsford of 60, Wai-iti Rd, Timaru. Native of Invercargill. 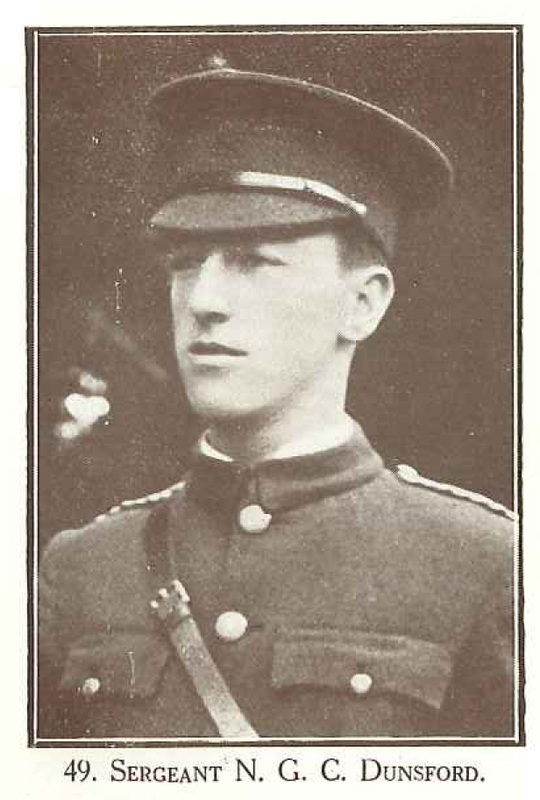 Before enlisting Norman was a Second Lietenant in the Senior Cadets at Timaru.